Collectively, the entire Keller Williams Greater Downtown Chattanooga office sold in excess of $308 million during the same time period. “We’re proud of our team,” says Robinson, owner and founder of the Robinson Team. “They’re driven by a determination to meet our clients’ needs in a market that’s as competitive as I’ve ever seen. The 2018 production numbers are based on residential data from the Greater Chattanooga Realtors Multiple Listing Service. The Robinson Team was recognized as the top team in the southeast region of Keller Williams in 2017 by closing 190 transactions totaling approximately $90 million in sales volume. The region is comprised of 57 Keller Williams offices spanning a three-state region that includes Tennessee, Georgia and Alabama. Robinson has been in the real estate business since 1988. He grew up in Chattanooga, and after beginning his career in Little Rock, Arkansas, moved home to be close to his family. He founded the Robinson Team in 1997 and has subsequently helped over 3,000 families find their new homes. 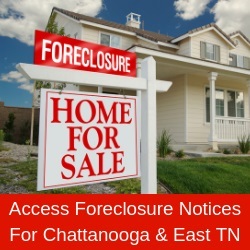 Robinson is a member of Greater Chattanooga Realtors as well as the Tennessee and Georgia associations. He is a certified residential specialist, an accredited buyer representative and a graduate of the Realtors Institute.